Including those from BuyBust, Liway, and more! (SPOT.ph) It's finally March—which means it's time to celebrate Women's Month. And one great way to mark the occasion is with a movie marathon of films that feature strong, independent women. 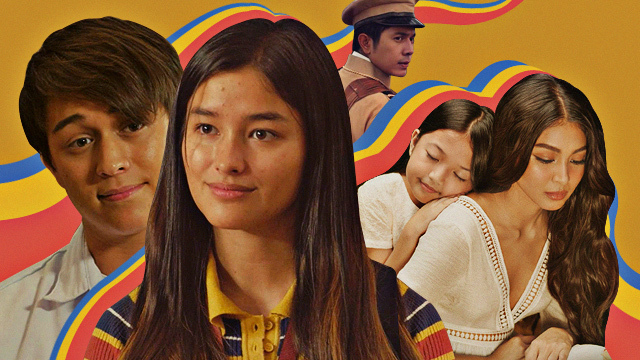 You can catch Filipinas take charge on the big screen at Cinema '76, where they'll be showing BuyBust, Liway, Born Beautiful, Miss Granny, 100 Tula Para Kay Stella, Women of the Weeping River, and Elise until March 7. You can watch Nina (Anne Curtis) fearlessly go through everyone in her way in Erik Matti's BuyBust and Commander Liway (Glaiza de Castro) step up to the dictatorship while caring for her family in Liway. In Born Beautiful, Martin del Rosario takes on the role of the brave Barbs, the best friend of Trisha from Die Beautiful. Sarah Geronimo plays the role of an old woman trapped in her younger body in the Pinoy remake of Korean movie Miss Granny while Stella (Bela Padilla) follows her passion in 100 Tula Para Kay Stella. The non-actors who star in the award-winning Women of the Weeping River play Muslim women fighting their way through a generations-old blood feud. Janine Gutierrez plays the titular role in Elise, who is a tough, independent woman. The films will be screening at Cinema '76 in San Juan and in Anonas—perfect for a movie date! Plus, tickets are only at P180 and P150 for students.